A few days ago we had high winds with lots of sand in the air…the very fine particle sand that sticks to everything and makes it difficult to breathe. 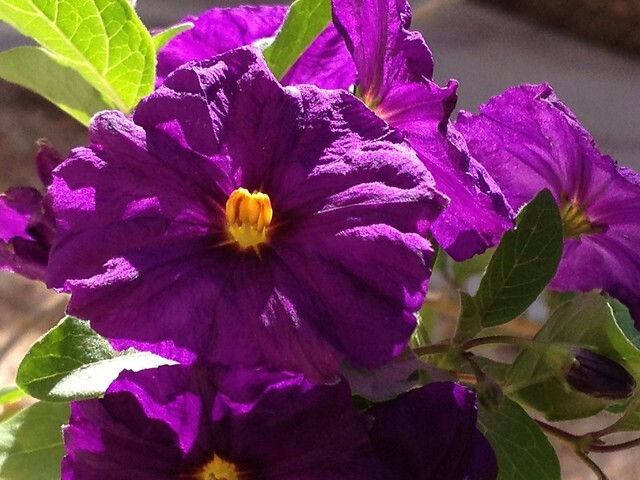 Last night we had a steady rain and this morning the trees were “green” again and the flowers were vibrant. 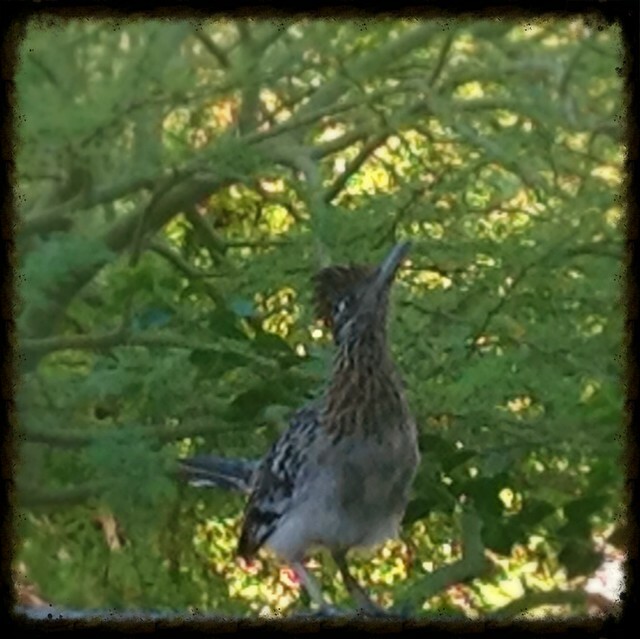 And my roadrunner seemed confused by what on earth was pelting his head. All of which brought me to my musing on how precious life is. Ecclesiastes 5:19-20(AMP) Also, every man to whom God has given riches and possessions, and the power to enjoy them and to accept his appointed lot and to rejoice in his toil—this is the gift of God [to him]. For he shall not much remember [seriously] the days of his life, because God [Himself] answers and corresponds to the joy of his heart [the tranquillity of God is mirrored in him]. Luke 1:46(MSG) I’m bursting with God-news; I’m dancing the song of my Savior God.